Creative Media offers its clients the opportunity to present a unified message and appearance through its state-of-the-art Printing, Design and Marketing capabilities. Creative Media produces the finest printed materials because they are produced in-house with quality control by their own employees. Creative Media has sheet–fed Offset Printing (commercial printing) providing vivid colors and unlimited paper choices. Digital printing, referred to as OnDemand printing, is also available offering a good choice for short production runs with a quick turn-around. Creative media has experience in producing a variety of corporate pieces like basic stationery, bound four-color annual reports, and large format printing with full color print sizes up to 40 by 60. 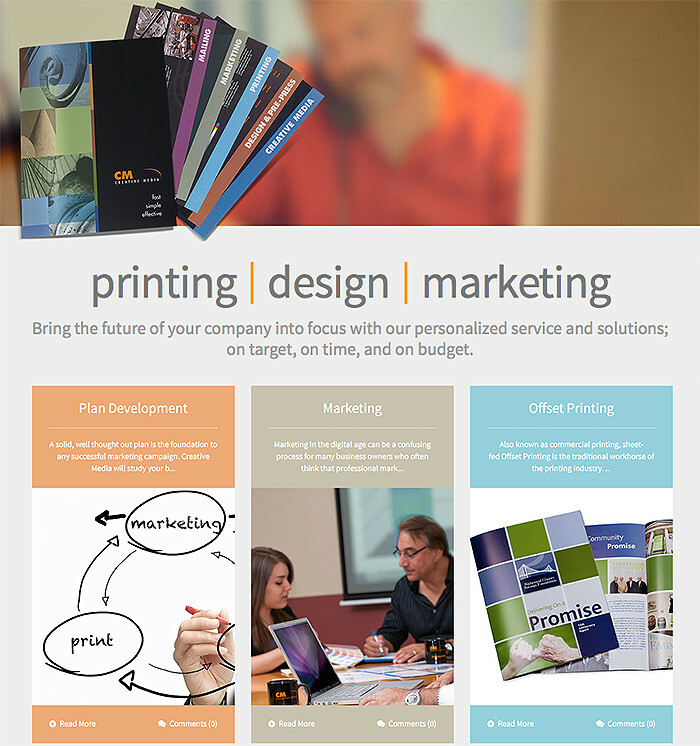 To marry the company’s printing services into a client’s overall marketing efforts, Creative Media offers professional design services including graphic design (combining images, words and stylistic elements to convey a message), web development, professionally designed presentation materials such as PowerPoint, photography, and YouTube Commercials. Creative media also offers professional marketing services catered to the digital age focusing on search engine optimization, search engine marketing (online advertising), public relations, and social media.